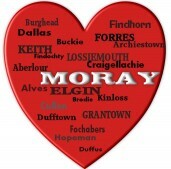 Moray has a great geocaching community, who place caches within the area to take people to places they may have not seen as well as places that are of interest in Moray. If you have never done geocaching it is a great, fun activity that you can take at your own pace and is suitable for all ages. Firstly you will need a GPS enabled device, whether it is a hand held Sat Nav or a Smart Phone. Register for a basic membership at Geocaching.com. If you take a liking to it you can upgrade to a premium membership later on which gives more functionality and shows premium caches. If you are using a smartphone, download the Geocaching App which costs around £6.00 (well worth it), you can then geocache anywhere in the world!! Our advice would be to start of with your smartphone and app and then if you get hooked maybe invest in a handle GPS, one of the problems around these parts especially, is that you may go after a cache and loose signal, which makes the cache quite difficult to locate. You will need to decide which caches you are aiming for and you can do this by using Geocaching.com or your smartphone will list the caches that are close to your location. There are several different types of caches and all vary in size, difficulty and terrain (you need a certain degree of agility for some of them). All this information and more is given with each cache. Geocaches vary greatly in size and appearance and to start with you probably will not be sure what you are looking for but once you have successfully found a few you will realise how cunning some of the people are that place the caches, others are relatively simple. The example above shows that it is a a micro/nano cache which will probably only have a log sheet to sign and can be quite challenging as they are easier to hide. They can be a magnetic nut/screw or the size of a film canister. As the size increases they are usually plastic sandwich boxes, the size of a shoebox and then a large bucket. Terrain will give you an idea of ease in getting to it and difficulty is self explanatory really. It is also a good idea to take a look at the description and at recent logs which will confirm the cache is still active and may give you some clues, as often people may post photos of the area around the cache, beware though sometimes this can be a little misleading in some cases. 2. Some items to swap/trade – most caches except nano/micro caches will contain treasure, they are usually small trinkets, pens, small toys and you are free to tie an item if you replace it with something else. Always ensure it is like for like in quality and you do not have to make a swap. 3. Spare batteries/charger – devices and smartphones will quite quickly loose battery life due to using location features, it is always a good idea to have a stand-by. 4. Snacks and drinks, really depends on how long you are going to be out and often the caches are located away from shops and civilisation and you could also get carried away. 5. A torch, not entirely necessary but have found myself at times not realising the darkness descending, so might be an idea. You ar now ready to hunt down your first geocaches but please take note of some Geocaching points of Etiquette. a) Trade items properly – the item should be of equal or greater value, do not replace with knives, syringes or anything illegal – if you find some in the cache please remove. Also do not use food or fragrant items as trades, these can attract wildlife to the cache. b) Trackables – some caches will contain a metal trinket about the size of a coin or medal and will have a number on it. If you do not know what to do with them then please leave them as they are. Trackables are placed by geocachers and have a unique number, the idea is that they move around from cache to cache and the owner of the trackable can see where the trackable has been. Many find a route around the world and can be interesting to watch. More on this can be found on Geocaching.com. c) Always put the cache back exactly were you find it and how you found it, this is very important to ensure other cachers will be able to locate the hidden cache. d) Be discreet – whilst searching for a cache you will pass see other people along the way that are not geocachers, they are referred to as Muggle’s and some may be walking their Puggle (dog). It is quite important they do not know you are searching or have found a cache otherwise they could misplace it of remove it, so ensure you maintain a totally covert operation. e) Respect the environment, caches are placed in all sorts of weird and wonderful places, please ensure you do not disturb plants or wildlife. f) Common sense, obey local laws and keep safe, sometimes paths may be closed due to maintenance, if it says no entry either find another route or choose another cache. Well that is basically enough to start you off caching. 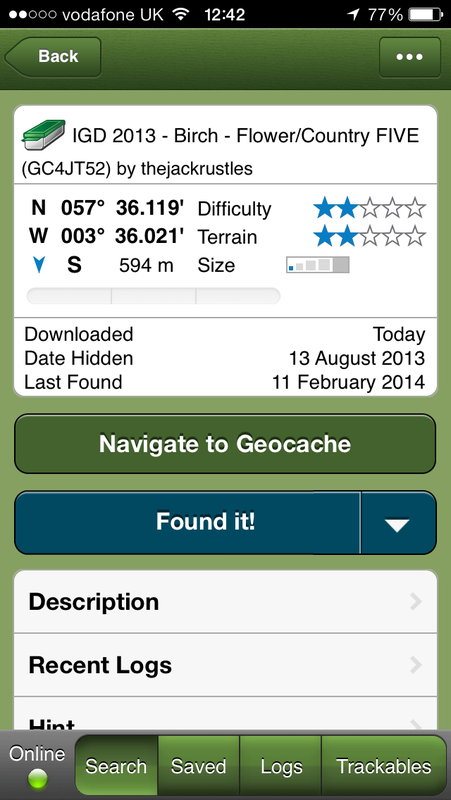 There is lots of information available on Geocaching.com. Let us know if you give it a go and how you get on.